Are you looking for a delicious chicken recipe with a difference? If you are, you’ve found it! Here’s my aromatic meat stew with red wine, cloves & juniper berries for you to enjoy. Bollito di carne is a classic northern Italian dish, typically from Piedmont. Hearty, rich and satisfying, it always includes several different types of meat – the kinds used vary depending on availability and the preference of the cook. 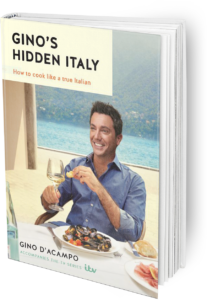 For this recipe I decided to use duck, pork and chicken, as recommended to me by a butcher in one of the markets I visited when filming in Piedmont. Serve with plenty of toasted sliced ciabatta rubbed with fresh garlic on both sides. Feast your eyes on the finest aromatic meat stew with red wine, cloves & juniper berries! It’s straightforward and fun to make this great dish. Simply follow the instructions below and get the perfect result. Heat half the oil in a large flameproof casserole over a medium to high heat. When very hot, fry the duck, pork and chicken in batches until well browned on all sides. Remove the meat with a slotted spoon and transfer to a large bowl. Set aside. Pour in the remaining oil and reduce the heat to medium. Add the onion, celery, carrot, cloves and juniper berries and fry for about 5–10 minutes, stirring occasionally. Increase the heat, pour in the wine and add the parsley. Bring to the boil and let it bubble for 1–2 minutes. Add the stock and tomato purée and bring to the boil. Return the meat to the pan with any juices. Season with salt and pepper. Bring to the boil then reduce the heat, cover and simmer gently for 1–1½ hours or until the meat is tender, stirring occasionally. 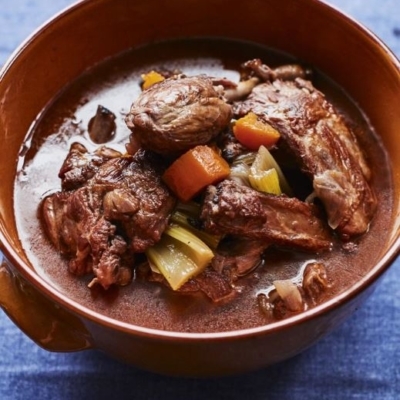 Once you’re done, simply sit back and enjoy your aromatic meat stew with red wine, cloves & juniper berries and don’t forget to check out other great authentic Italian recipes including great antipasti recipes, Italian pasta recipes, Italian soup recipes, Italian beef dishes and authentic pizza recipes.